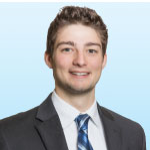 As Associate Vice President with Colliers International, my primary focus is assisting clients in the acquisition and disposition of multifamily properties throughout the Midwest with an emphasis on West Michigan. My investment sales career spans nearly a decade with a total transaction volume exceeding $250 Million. My specialty lies in helping our clients maximize sale proceeds during the transaction process, but my team prides ourselves on our ability to deliver data driven market knowledge and trends to our clients between transactions. As a property owner myself, I am able to view each assignment through multiple lenses to achieve the best results for my clients. My client list includes small and large developers, private equity funds, family trusts, and international investors. I have sold numerous properties to first time international buyers and maintain a network of contacts that extends far beyond the Midwest. My entire professional life has been focused on multifamily investment properties and I pride myself on delivering a hands-on, personal approach that has developed long-lasting business relationships with my clients. Let us understand you, your company, your long-term objectives, and let us help you by being a true solutions-based adviser on your side of the table, not the kind of dialing-for-dollars broker that has become prevalent in our industry. “Matt and his team are true professionals. They have deep seeded relationships with both Buyers and Sellers and have a unique ability to move each transaction forward in a win-win manner.” -Ron Abrams, Principal, Silver Property Group LTD. I obtained a Bachelor of Arts from the University of Colorado.